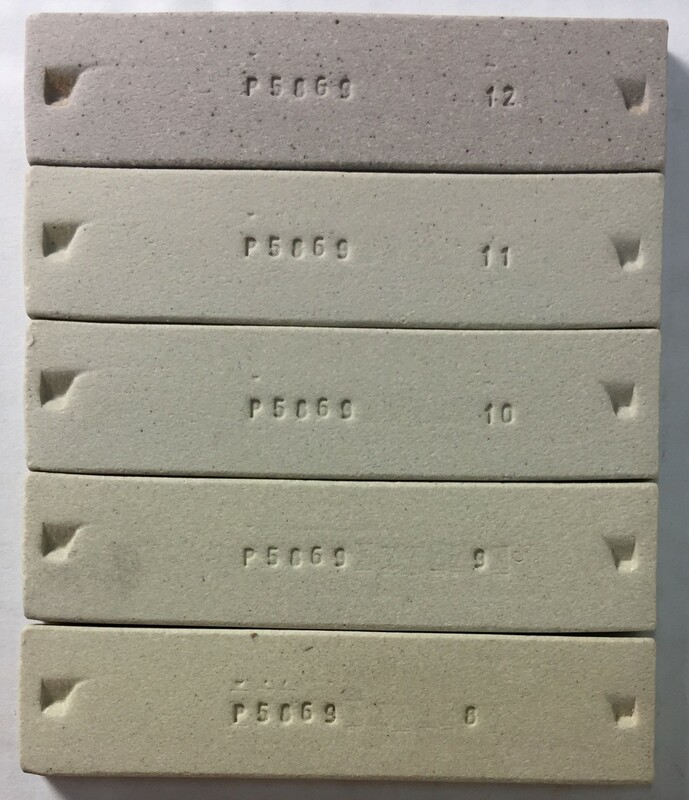 High temperature, smooth, functional, medium plastic, vitreous, light grey-buff burning body made from a mix of refined and clean native clays for reduction and oxidation fired functional stoneware. H555 is a 50:50 blend of our native materials (like those used in H550) and of refined industrial minerals (like ball clay, kaolin, feldspar, silica). It thus features some of the robust drying and working properties of the former while also displaying the more refined and vitreous fired character of the latter. H555 is one of Plainsman's most pleasant throwing bodies. Although smooth and fine, it is not as slick as bodies made entirely of refined materials. It dries relatively fast and has very high green strength. H555 has a lower drying shrinkage and thus it dries with less cracking. However, since it is fine grained, extra care and attention in drying are rewarded when making larger pieces, especially flat plates and shallow bowls (i.e. use slip containing an aggregate like molochite, focus drying on evenness rather than speed, use as much pressure and lateral movement as possible when joining, make ware with an even cross section, etc.). H555 fired test bars. Cone 10R top. Cone 8 to 11 oxidation (bottom upward). H555 fires to a pleasant light grey-buff in reduction and buff-white in oxidation. It is semi-vitreous (burns to about 1% porosity at cone 10). It burns significantly whiter than H550 (our buff burning native stoneware) and the speckle population and size is much lower. By cone 7 porosity is about 4% so we do not recommend this body for middle temperature functional ware. H555's high fired strength and homogeneous surface makes it an excellent compromise for fine functional stoneware. 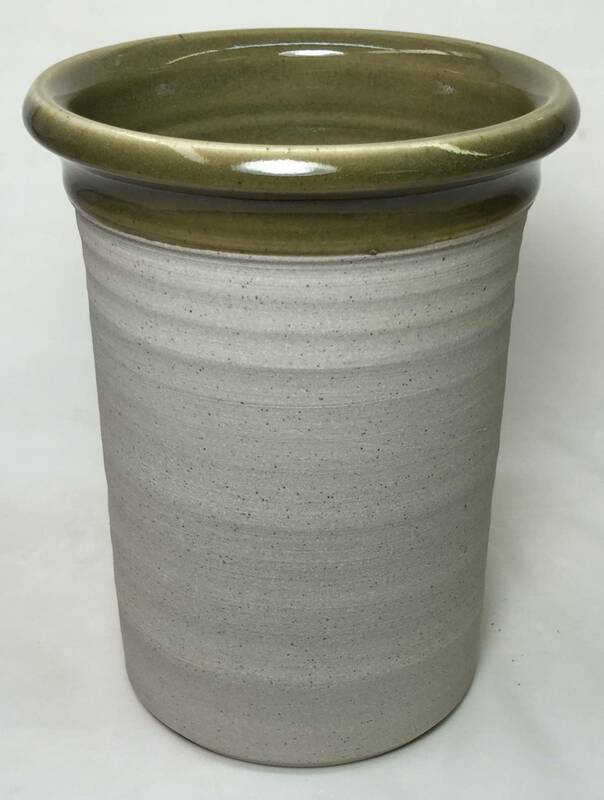 But remember that while it is more resistant to warping than our porcelains it is more prone to deforming on overhung or extreme shapes than our native stonewares. H555 does not bleed iron or interfere with glaze melts and thus encourages clean results. However if you use earthtone glazes that are at their best on iron or speckled bodies, consider trying H550 or H443. If you use white or transparent glazes there will be some scattered small back speckles, especially if the glaze cover is thin. H555 is easier to fit glazes to than our porcelains but can require a little more effort than our stoneware bodies. H555 with Ravenscrag celadon glaze. Fired at cone 10R.